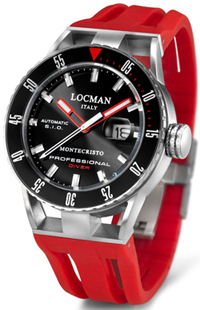 The famous Italian watch company Locman again delighted his fans launch a new model of Montecristo Professional Diver, designed for professional divers. 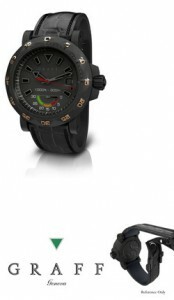 Company Graff , more commonly known rather as jewelry, watches diver is – is quite serious and functional. Guaranteed waterproof new Graff is 300 meters long and they almost look like an ordinary piece of jewelry with a clockwork mechanism inside. Hourly Rado company introduces new diver’s watch D-Star 200 Automatic and D-Star 200 Automatic CHRONO. 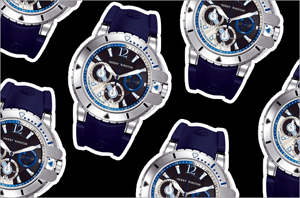 It’s a Swiss watch, created specifically for diving. Both models have a slightly elongated oval body, which makes the design of a special nature. Watch company announced the release of Armida another diver model A5 1000M Diver, which is a continuation of the line A1, presented in July of this year. New made in the style of «military» and attracts the attention of the body forms a powerful and unique fluorescent lighting. The dives are for someone like me, a fun and enjoyable pastime, but for others they are a real profession. 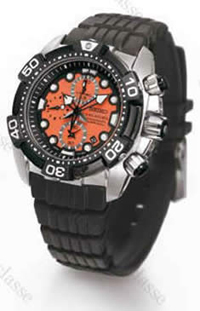 Hourly Aquadive company introduces new Swiss watches Vintage NOS Diver. A unique model was created using parts from the original brand watches, which were released in the 60s of last century.